Let’s football, soccer season again in asianet movies channel, watch the live coverage of indian super league season 2017 with malayalam commentary. shaiju damodaran in the commentary panel ?, we can wait few more days for the answer. 17th november 2017 is the inaugural of isl latest season, opening match is between atk and kerala blasters. this season of isl having more matches, it’s the longest season of isl. we have already published complete fixtures of isl 2017, you can download the same. Star sports channel holding the telecast rights. isl 2017 live available through star sports, star sports kannada, star sports tamil, star jalsha, asianet movies channels. hotstar and jio tv are the official online streaming application of the same. if you are missing the matches through television download jio tv or hotstar and enjoy isl live streaming. ATK, Bengaluru, Chennaiyin, Delhi Dynamos, Goa, Jamshedpur, Kerala Blasters, Mumbai City, NorthEast United, Pune City are the teams playing in 2017 indian super league. 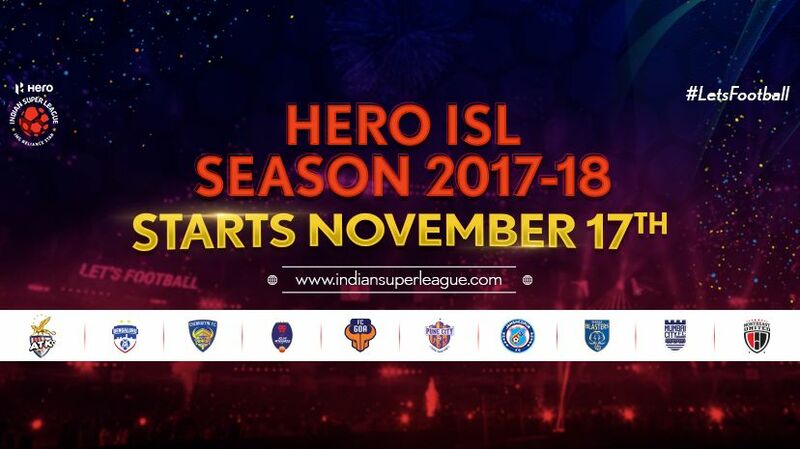 The latest season of indian super league will start on 17 November 2017 and conclude on 4 March 2018. as mentioned above this will the longest season of isl, we can expect more from the 2017 isl season. Asianet movies will air pre-match discussions and others before the match, 6.50 p.m is the scheduled time for atk vs kerala blasters match. This is the schedule of asianet movies channel for friday, 17th november 2017. Don’t forgot to enjoy the live coverage of isl 2017 on asianet movies, hotstar app and jio tv, support your favorite team. Disclaimer – keralatv.in do not streaming any video content, we are not supporting any illegal or unofficial streaming links. we are just discussing about the opening match of isl, and the live broadcasting channels/ application name.